Our young enterprise "Randa" of resort town Anapa is happy to welcome you ! We do not set ourselves unfeasible tasks, we are just doing what purposeful and hardworking people can shoulder. It is exactly such a team that works at our enterprise. 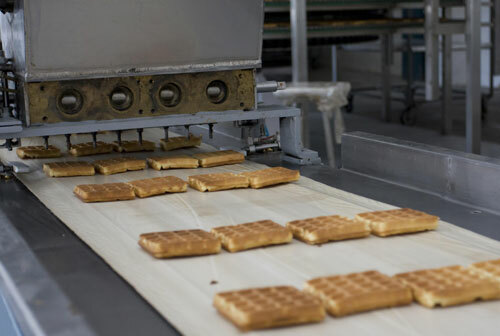 OUr company has been a producer and supplier to the market of the confectionery products of the wafer groupfor the five years and a participant in the Moscow annual International Fair PRODEXPO, it has been awarded diplomas of territorial and regional exhibitions. Thanks to these exhibitions we are recognizable and get much success: our products are available in many cities and towns of Russia, starting from Krasnodar Region and stretching to Krasnoyarsk Region, we also established contacts and long-term relations with CIS countries and other foreign partners. 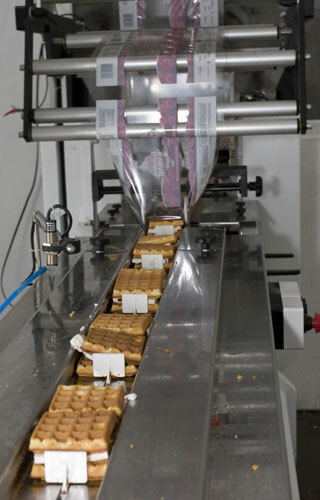 We are producing a broad assortment of weight and pre-packed iced wafers made with natural ingredients. We pay special attention to sprinkling and filling additives as puff rice and ground fried nuts. Using widely accepted up-to-date technologies of the industry we are implementing our own original ideas of our research and design department manned withhigly skilled engineers, electronic experts and programmers. It is our factory who among the first in Russia prompted the barnding of its products. Thus on the work-shop «Prodexpo-2005» we represented weight wafers «Randa» under namesake brand with «stamp» logotype. An idea inspired a further spread and now we are glad to offer absolutely new product on confectionery market-waffle cake «Tribelli». A super advantage it has is an ability to change brand stamp «Ранда» in favour of large net traders into preferring trade mark. The staff of our confectionfactory exceeds 100 persons. Customers-bound work is based on individual approach: among them free delivery from our depot, flexible discounts, politeness and consideration on the part of the commercial staff of the enterprise. We possess our own carrying vehicles, employ experienced drivers to transport and deliverour products to any place of our huge area. The staple wafers of our enterprise are named «Uspekh» that means success and thus we believe you are doomed to it with us!! !